BALI, Indonesia (Feb. 23, 2017) – A global plan to save coral reefs from complete eradication caused by climate change, pollution and poor fishing practices launched today at The Economist World Ocean Summit in Bali. The initiative, called 50 Reefs, brings together leading ocean, climate and marine scientists as well as conservation practitioners from around the world to develop a list of the 50 most critical coral reefs to protect. 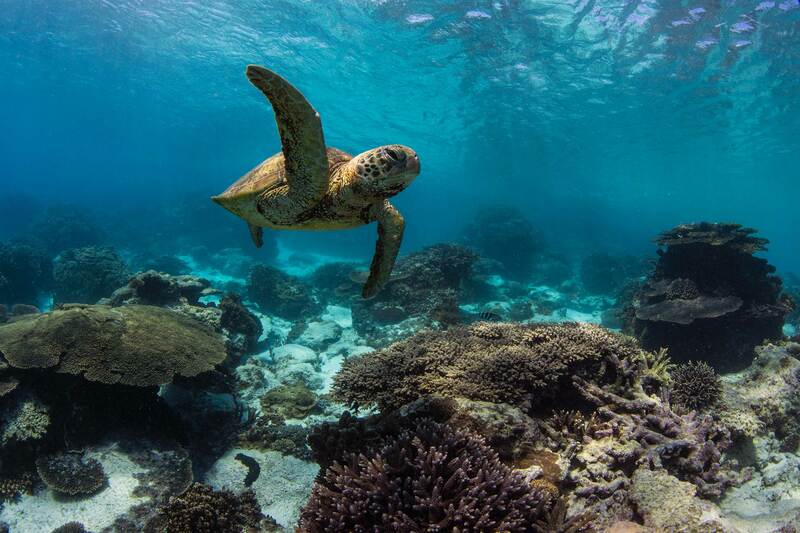 50 Reefs will be the first global plan to save the most biodiverse ecosystem on the planet. The final list and corresponding initiatives, to be announced later this year, will raise awareness of the increasing severity of climate change impacts on the ocean and catalyze the global action and investment required to protect these important reef systems for the future. The launch comes at a perilous moment for coral reefs, as current estimates indicate that 90 percent will disappear by 2050. 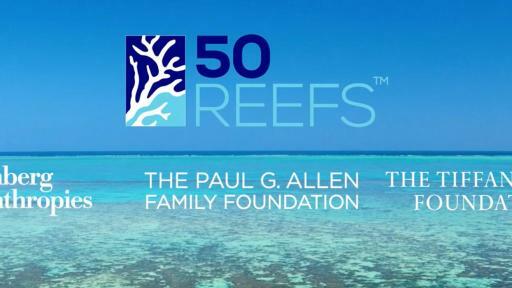 A unique philanthropic coalition of innovators in business, technology and government are supporting 50 Reefs, led by Bloomberg Philanthropies with The Tiffany & Co. Foundation and The Paul G. Allen Family Foundation, with the aim of preventing the worst economic, social, and environmental impacts of this enormous crisis. 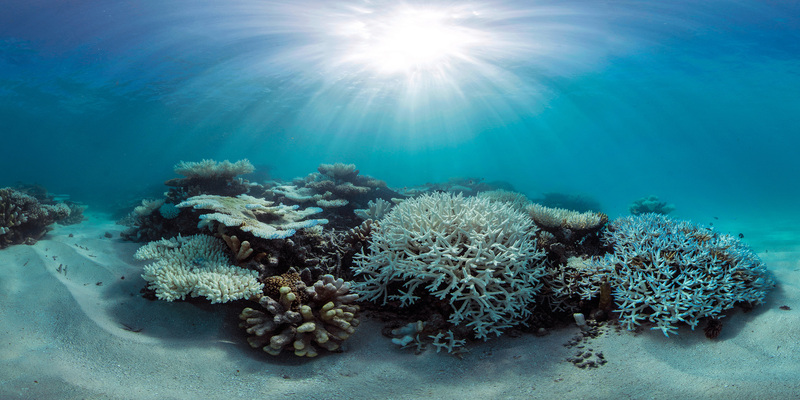 The 50 Reefs initiative builds on The Ocean Agency and the Global Change Institute at The University of Queensland shared experience carrying out the most comprehensive global survey of coral reefs and coral bleaching ever recorded (in partnership with Google and XL Catlin). This work is also the subject of the 2017 Sundance Film Festival Audience Award-winning documentary, “Chasing Coral,” which will be released worldwide on Netflix. “When people think of climate change, they often think of extreme heat, severe storms, and raging wildfires. But some of the most disastrous effects of climate change are out of sight – on the ocean floor. In fact, 90% of coral reefs are expected to disappear by 2050 and saving the remaining coral reefs are critical. Without coral reefs, we could lose up to a quarter of the world’s marine biodiversity and hundreds of millions of the world’s poorest people would lose their primary source of food and livelihoods. We must not allow this to happen,” said Michael R. Bloomberg, UN Secretary-General’s Special Envoy for Cities and Climate Change. 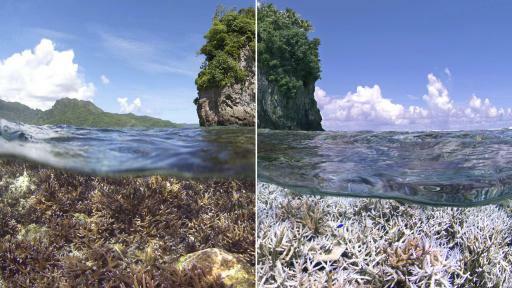 The impact of climate change can be marked by mass coral bleaching events, which occur when reefs are under stress from rising sea temperatures. The latest global mass coral bleaching event is responsible for the worst coral die-off ever recorded. Scientists predict that within 30 years the planet could face a complete collapse of the coral reef ecosystem, including the loss of thousands of species of fish and other important organisms. 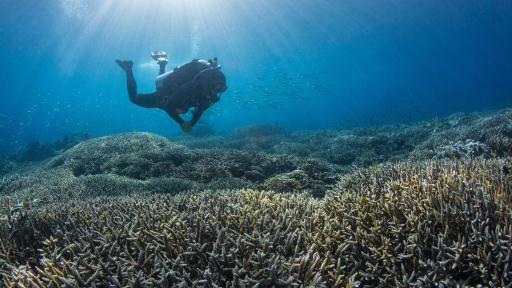 Loss of coral reefs poses a threat to the ecosystem as well as to livelihoods connected to oceans. The over-exploitation of fisheries, coastal development, and pollution has had serious impacts on coral reefs. 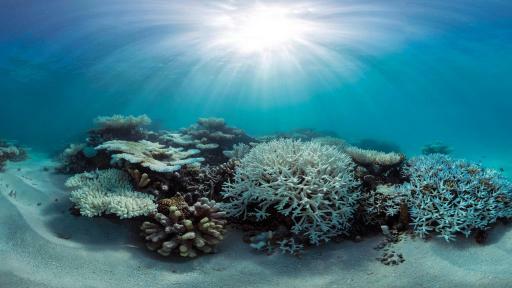 In some places, reefs have been entirely destroyed, while in others they are a pale shadow of what they once were. The threat of climate change has added an increasing burden and is now considered to be the number one threat to the future of coral reefs. 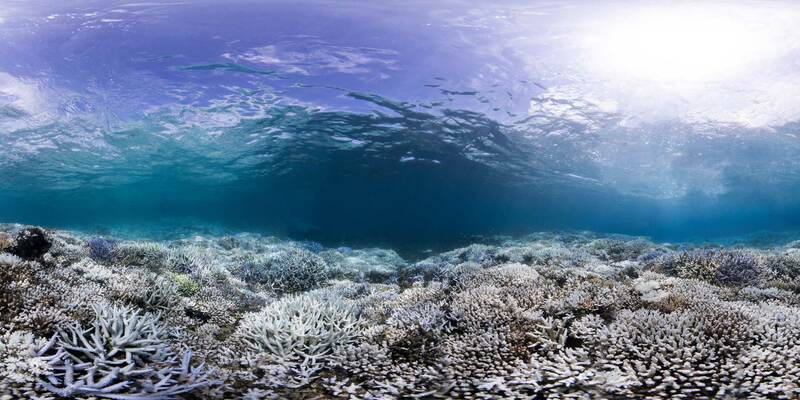 Despite their importance, coral reefs are facing ecological extinction. Coral reefs worldwide have been estimated to have a conservative value of $1 trillion, which generates at least $300-400 billion each year in terms of food and livelihoods from tourism, fisheries and medicines according to recent reports (WWF 2015, Smithsonian Institute). The extinction of coral reefs poses a critical threat for the hundreds of millions of people in some of the world’s developing countries who depend on reefs for their livelihoods, culture, food security, and nutrition. One in every four fish in the ocean lives part of its life on a coral reef. In the coming decades this could mean that half a billion people will lose access to a major source of protein, with developing countries being disproportionately more vulnerable. Worldwide coral conservation & climate change communications campaign. 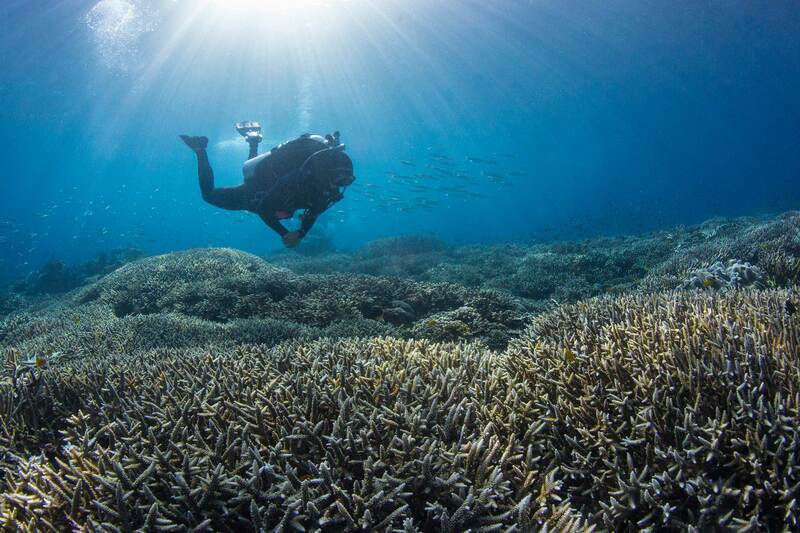 The aim is to identify a list of high priority coral reefs that have the best chance of surviving climate change, and which will aid the recovery of coral reef ecosystems once global temperatures have stabilized. The list will be announced in late 2017 and represent a diverse portfolio of reefs to maximize returns for biodiversity, ecosystems and people. This science-based initiative intends to protect enough coral to ensure the re-establishment of coral reef resources in a climate-stable future. As the project unfolds through 2017, a panel of world leading scientists will oversee a process to prioritize reefs worldwide (deploying a transparent ‘decision algorithm’ developed at The Centre for Excellence in Environmental Decisions at The University of Queensland). The datasets used (e.g. 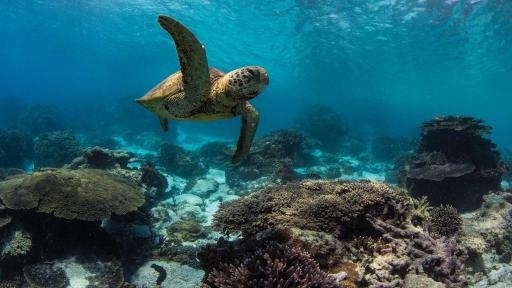 reef biodiversity, climate vulnerability, current health and reef connectivity) will be agreed upon by the independent panel of scientific experts drawn from some of the world’s leading organizations. Conservation experts and practitioners from around the world will identify the types of regional interventions necessary to ensure reef survival until the climate stabilizes. The purpose is to catalyze global action and investments in key reef geographies prioritized in the survey. The Ocean Agency is an Australian Not-For-Profit founded in 2010. It is dedicated to achieving ocean conservation through technology innovation, creative communication and global partnerships. Its first major project was the XL Catlin Seaview Survey (also a partnership with the Global Change Institute), which has become the most comprehensive global survey of coral reefs ever conducted, revolutionizing the speed, efficiency and cost of coral reef monitoring at scale. 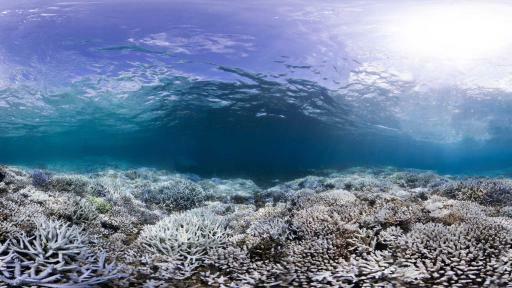 This is the project behind all the underwater imagery in Google Street View. 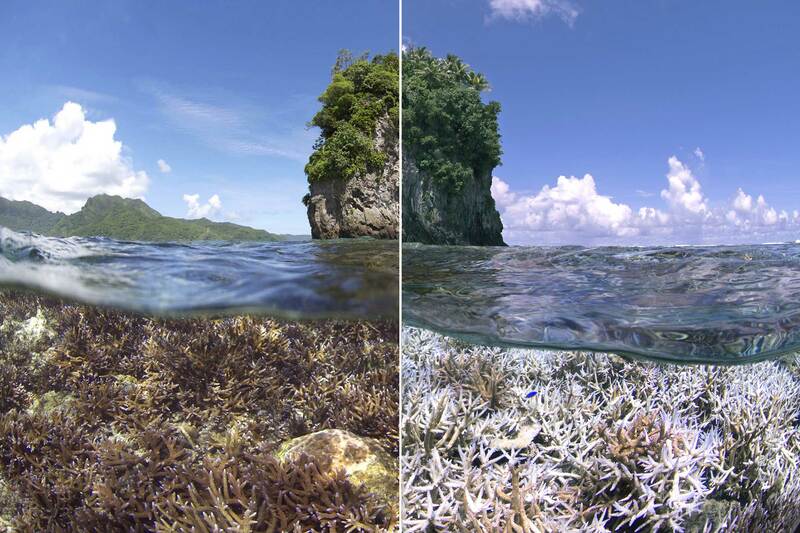 The Ocean Agency is the only team to have ever travelled around the world to record and reveal a global bleaching event (the imagery taken with their specially developed cameras has appeared in virtually every major news publication.) This work is the subject of a new Netflix Original documentary called “Chasing Coral,” yet to be released.